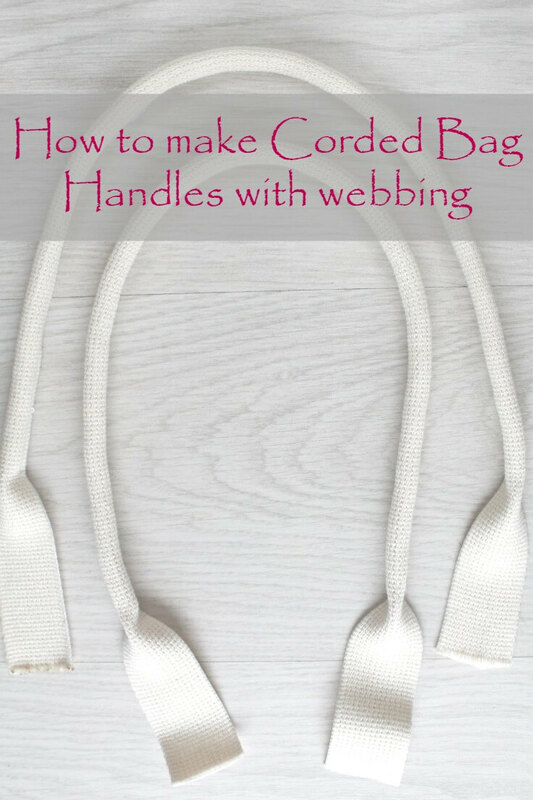 Making corded bag handles with webbing is the easiest method ever! 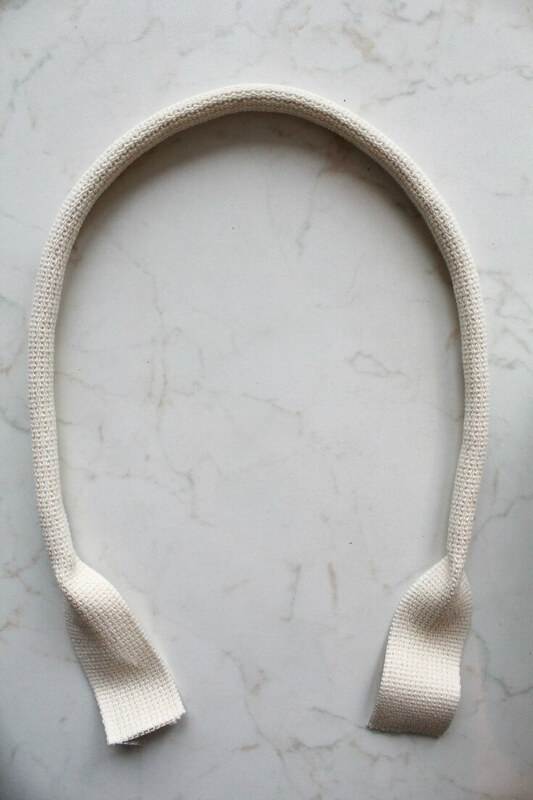 If you always wanted to make your own corded bag handles but the idea scared the heck out of you, this method is your best option. It can’t get easier than this so even the ultimate beginner can do it. I saw a lovely canvas pillowcase with a pretty embroidery in a local shop and I simply had to have it. 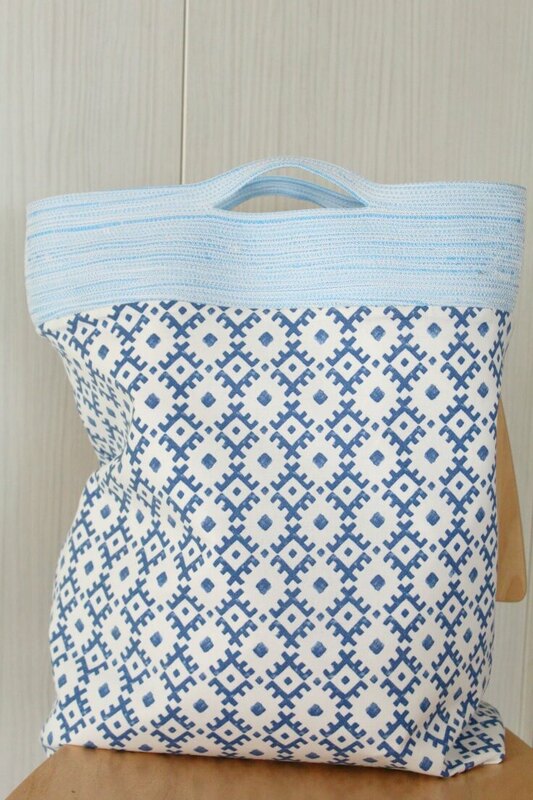 Because the idea of making (yet) another bag got me just too excited so I bought the pillowcase. But I didn’t have enough fabric to make the handles so I thought cotton webbing would look great, it even matches the color of my pillowcase. But plain webbing is just not my thing so making corded bag handles with webbing sounded like a better option. And this way the handles are sturdier and offer more padding. 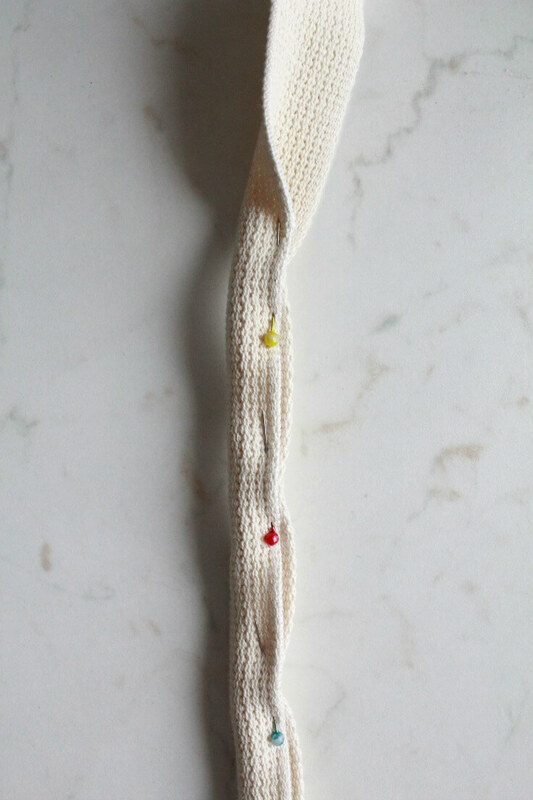 Plus webbing is pretty flexible so no crease will form when the handles bend; a bonus if you are a perfectionist! 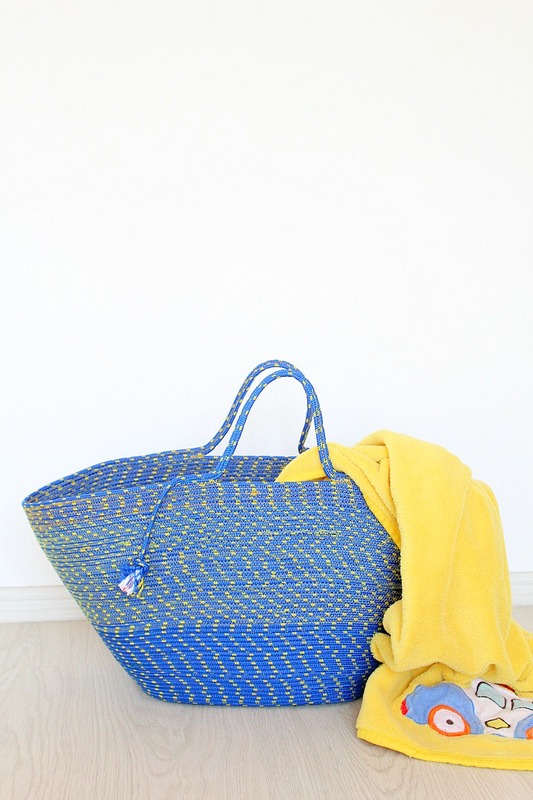 I’ve made corded bag handles before (in this post, for this gorgeous canvas bag) but using webbing for this project proved to be a whole lot easier. 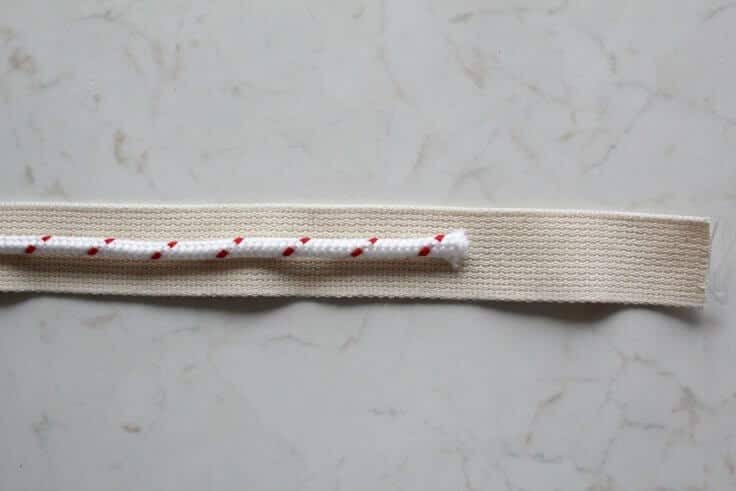 There’s no fraying in using webbing and no tube turning (which is always such a headache for me), this project is the simplest ever! 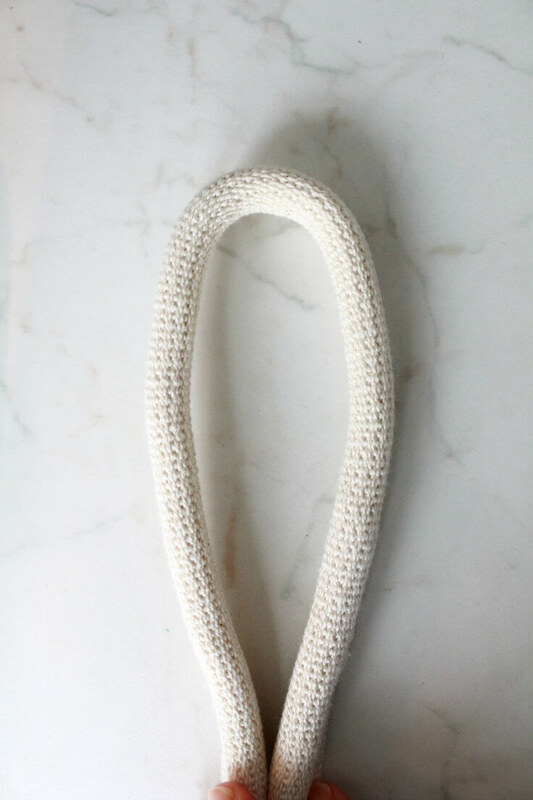 I used the same type of cord as in this rope bowl tutorial but any cording will do. You will also need a zipper foot and canvas needle and thread. My cording foot didn’t fit the size of this pipping so I tried to use my second zipper foot which I never got to use but unfortunately this wasn’t a good option for this project either and had too revert to my old bud. It worked like a charm! 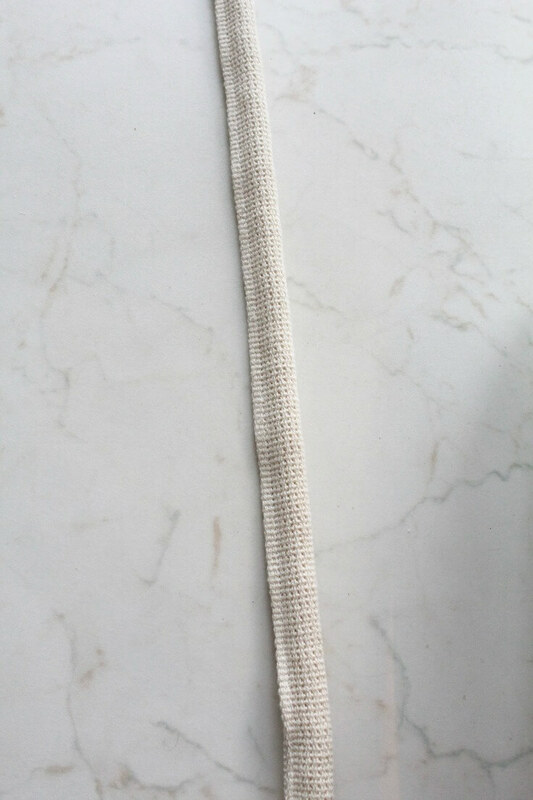 Place one of your ropes/piping in the middle of one of the webbing strips, about 4″ from each ends of the webbing. 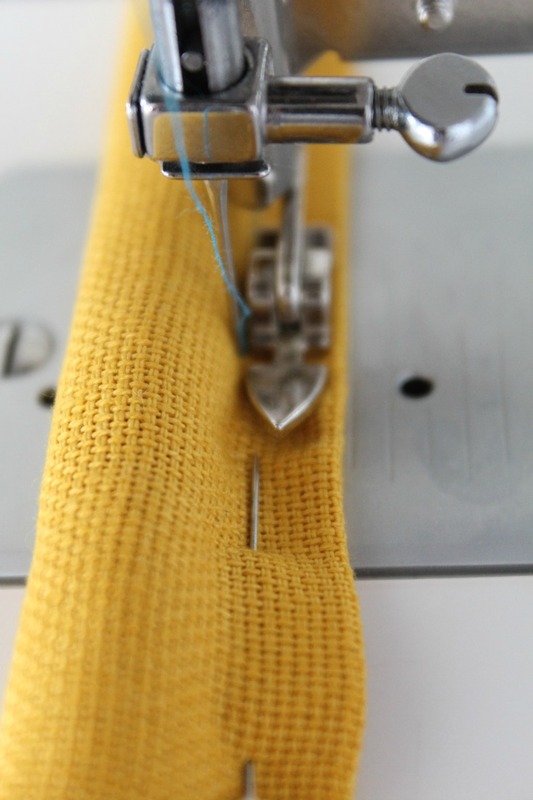 Fold the webbing over the rope and pin in place. 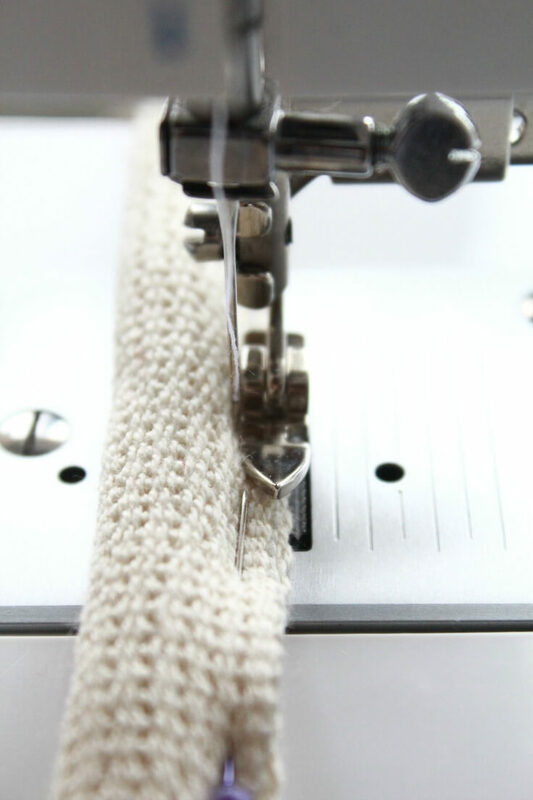 Change the foot, needle and thread on your sewing machine and adjust the pressure of your presser foot accordingly. Start sewing just where the rope is, as close to the edge as you can, leaving the rest of the webbing hang loose as allowance for when you’ll insert the handles in a bag (assuming you’re having a bag project in mind and you’re not doing this just for practice). Stop sewing where the cord ends. You can glue the ends of the cord onto the webbing if you like to be extra careful but in my experience the cord has stayed in place even without the glue. That’s pretty much it! Your corded bag handles with webbing are done! Now go use these gems on a pretty bag! It’s the same method but riskier since your needle might touch the tube & break. This is a great tutorial. Unfortunately your web page is so popup add heavy that it takes forever for the page to be able to scroll just a bit. I wont be back which is sad because I loved your tutorial. Hi Rosa. I’m sorry to hear that you won’t be back. 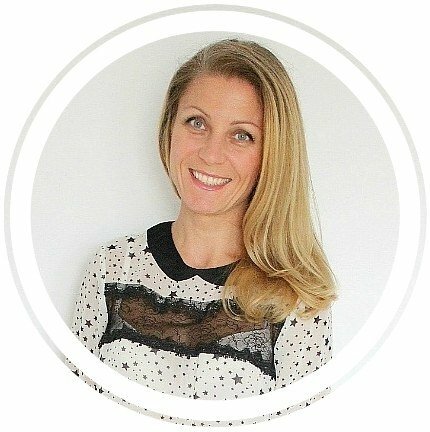 Ads support this site and help me offer free tutorials like this one.